At McGraw & Strickland, LLC, in Las Cruces, New Mexico, we are committed to protecting our clients' rights through personal injury, criminal law and civil rights issues. 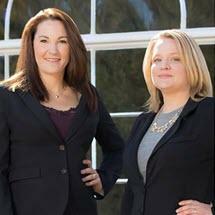 The team at our law office is invested in the outcome of each case because we build relationships with our clients. We know how important it is to reach the right solution and in the right manner to set them on a path to a better future. The results we have returned for our clients include a $12 million verdict in a wrongful death case and a $1.6 million verdict in a civil rights lawsuit. The team at our law office has argued before the New Mexico Supreme Court and handled multimillion-dollar and high-profile cases. They have earned accolades such as being listed in The Best Lawyers in America and being named for inclusion in Super Lawyers list. At McGraw & Strickland, LLC, we accept credit cards.